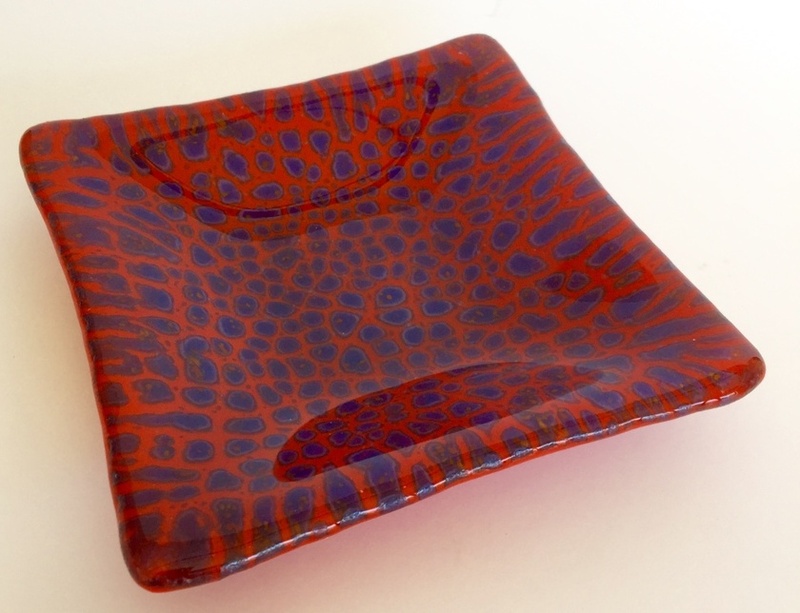 This dish features blue spots on a rich red background. The spotty pattern is created using glass powders which are fired at high temperatures, with each pattern being unique. As they often look like the spots or stripes of wild animals, I like to call items made using this technique Jungle Bowls. The dish measures 130mm x 130mm and is 20mm deep. Ideal for serving up snacks, or on a side table for jewellery or nick nacks.